Congratulations to all students, faculty, staff and stakeholders for achieving another milestone. 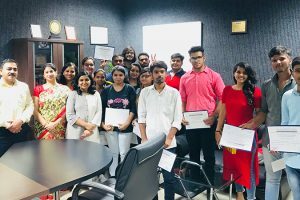 Manav Rachna International Institute of Research & Studies (MRIIRS) has always carried forward its rich legacy of academic excellence and very impressive achievements in research, innovation, skill eco-system and entrepreneurship development. Another feather has been added to its cap with the issuing of Notification by MHRD on June 8, 2018 extending/regularizing its Deemed-to-be-University status on permanent basis. 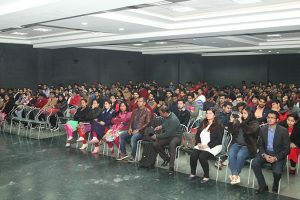 Further, MRIIRS enjoys approval from AICTE and other Councils for all its professional programmes. 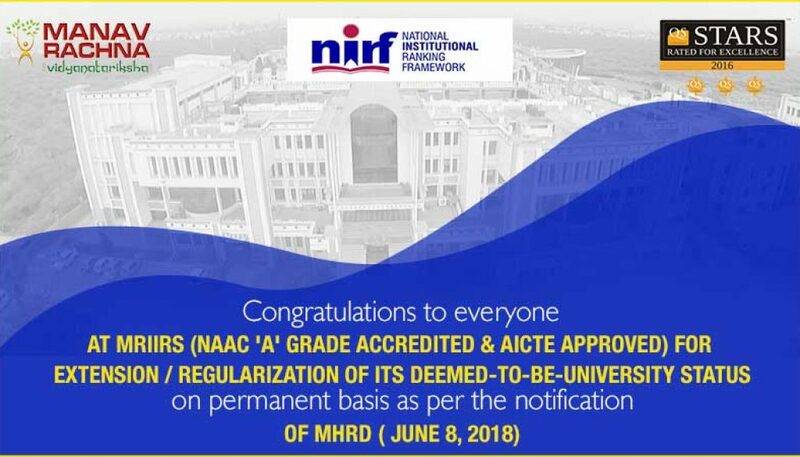 MRIIRS is also bestowed with ‘A’ Grade NAAC Accreditation, QS Rating with 5 Stars in four disciplines of Teaching, Facilities, Social Responsibility, Inclusiveness and excellent NIRF ranking.